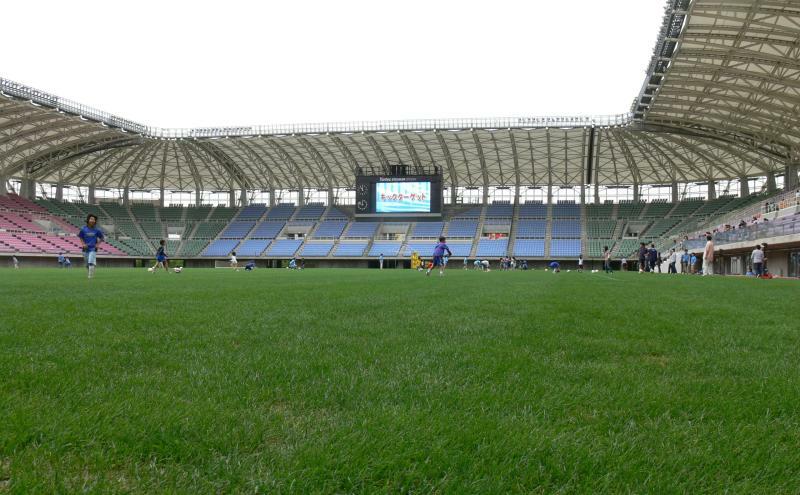 Yurtec Sendai Stadium officially opened in June 1997. It was built by the city of Sendai to provide Vegalta Sendai with a modern football-specific home. 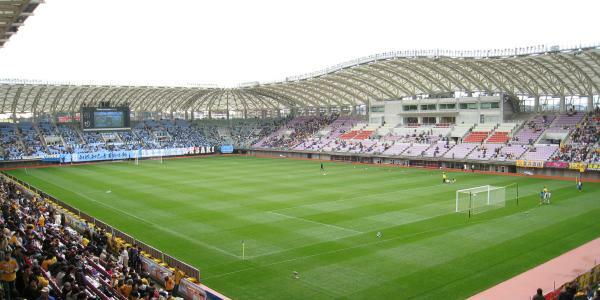 The stadium was initially called just Sendai Stadium, but changed names in 2006 as the result of a sponsorship deal. The stadium sustained small damages in the 2011 Tōhoku earthquake. While the water of the resulting Tsunami did not reach the stadium, the Sendai area was one of the worst struck. Apart from Vegalta Sendai, Yurtec Sendai Stadium is also the home of lower-league club Sony Senday FC. Yurtec Sendai Stadium is located in the north of the city of Sendai, about 7 kilometres from Sendai’s city centre and Sendai Station. The stadium is easily reached by metro. Izumi-Chūō Station on Sendai’s only (green – Nanboku) metro line is a short walk from the stadium. One can take the metro from Sendai Station. Izumi-Chūō is the last stop on the line. Tickets for Vegalta Sendai matches can be bought online via Lawson Ticket, Pia, or E+, by phone through the above vendors, in person at the Lawson, Circkle K, Seven-Eleven, FamilyMart, and Pia convenience stores, or in person at the club store at the stadium, the Casa Vegalta club store at Izumi-Chūō Station, or the Ole Vegalta store at the Gas Salon building on Hirose Dori street in central Sendai. Tickets are also sold on the gate from three hours before the start of the match. Vegalta Sendai may sell out the occasional high-profile match though. Ticket prices range from Y$2,900 for a seat behind the goal to Y$7,500 for a central seat at the main stand. Other seats for the sides go for between Y$3,100 and Y$5,500. Tickets are Y$500 cheaper if bought in pre-sale. Vegalta Sendai has occasionally played a high-profile match at the larger Miyagi Stadium, but this rarely happens. Vegalta.co.jp – Official website of Vegalta Sendai. Sentabi.jp – Sendai tourist information.